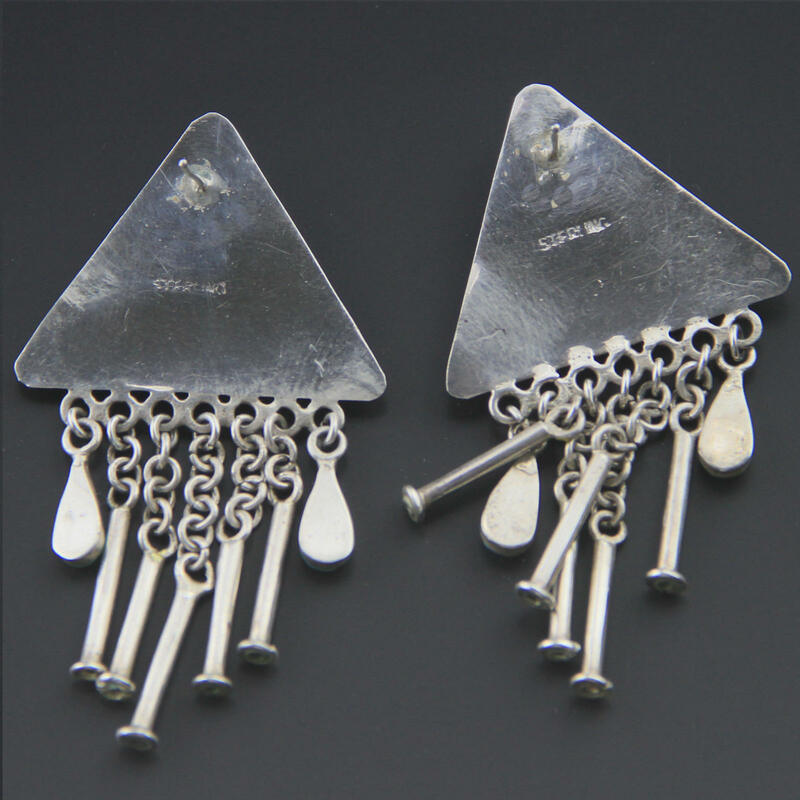 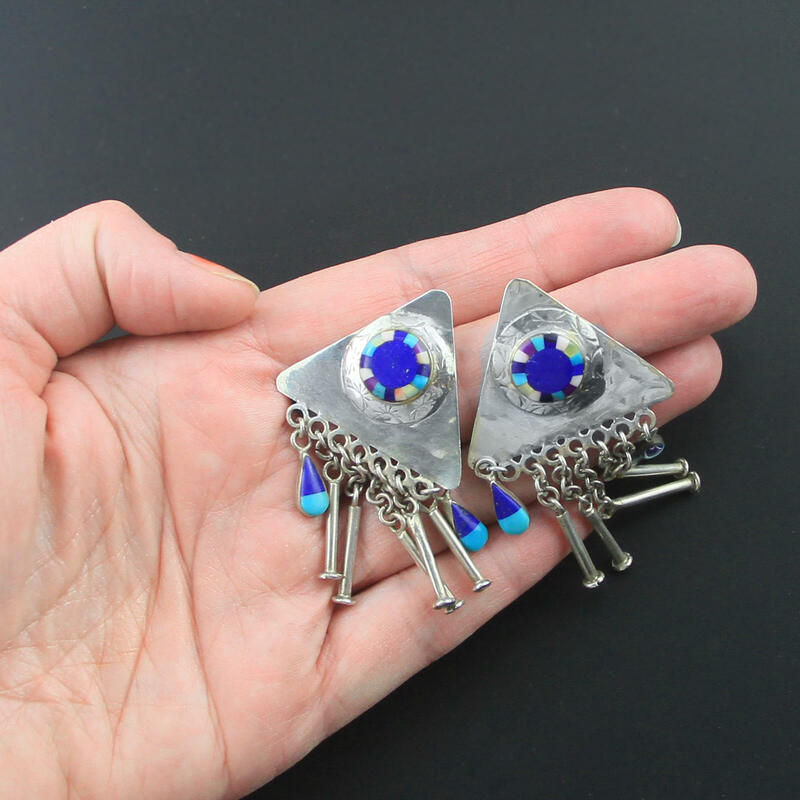 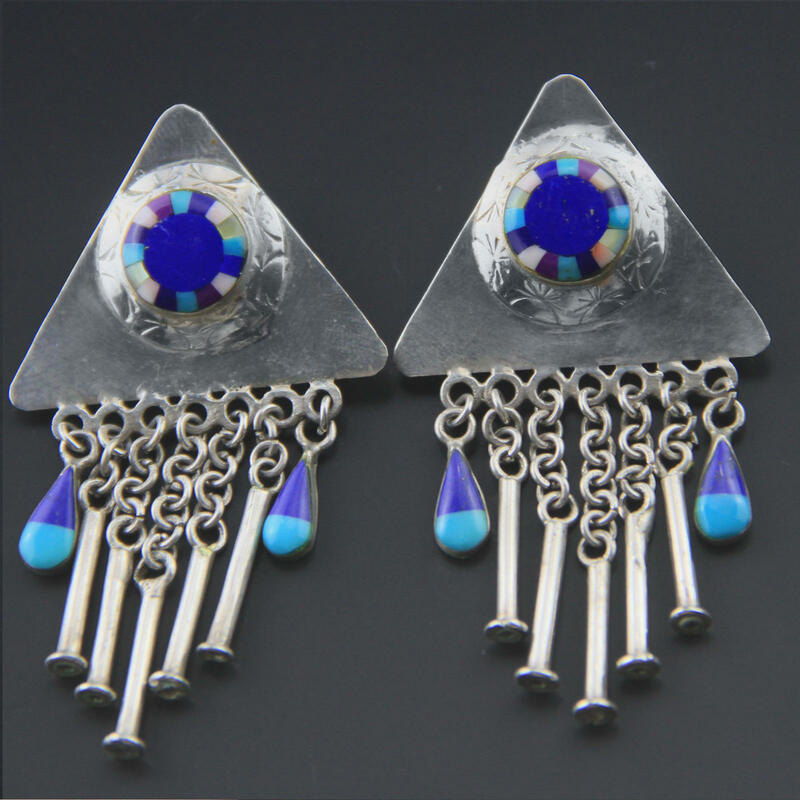 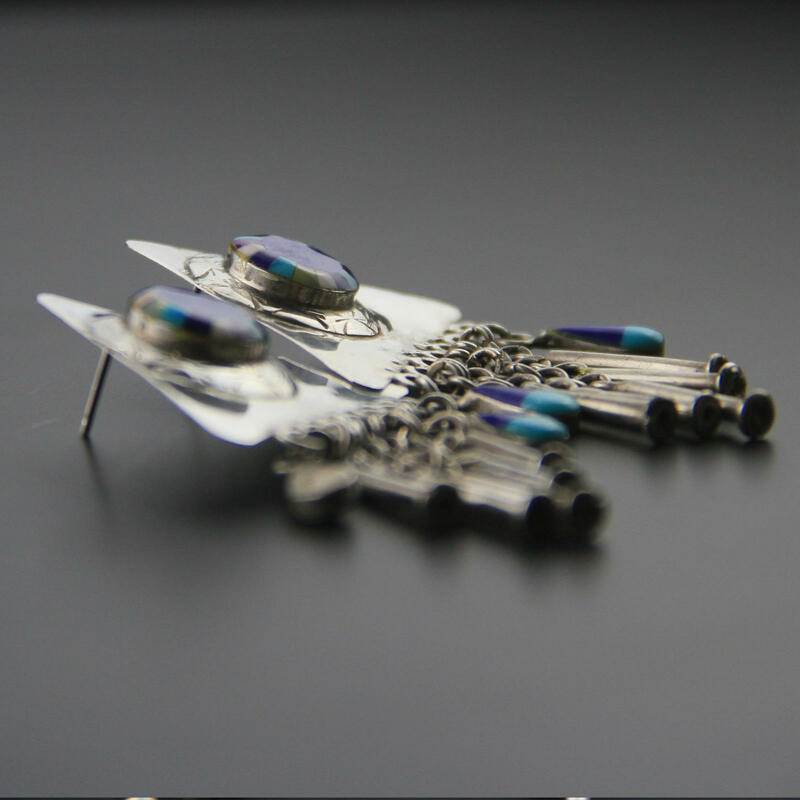 Amazing large statement earrings, Zuni, Native American handmade c1970s - 80s. 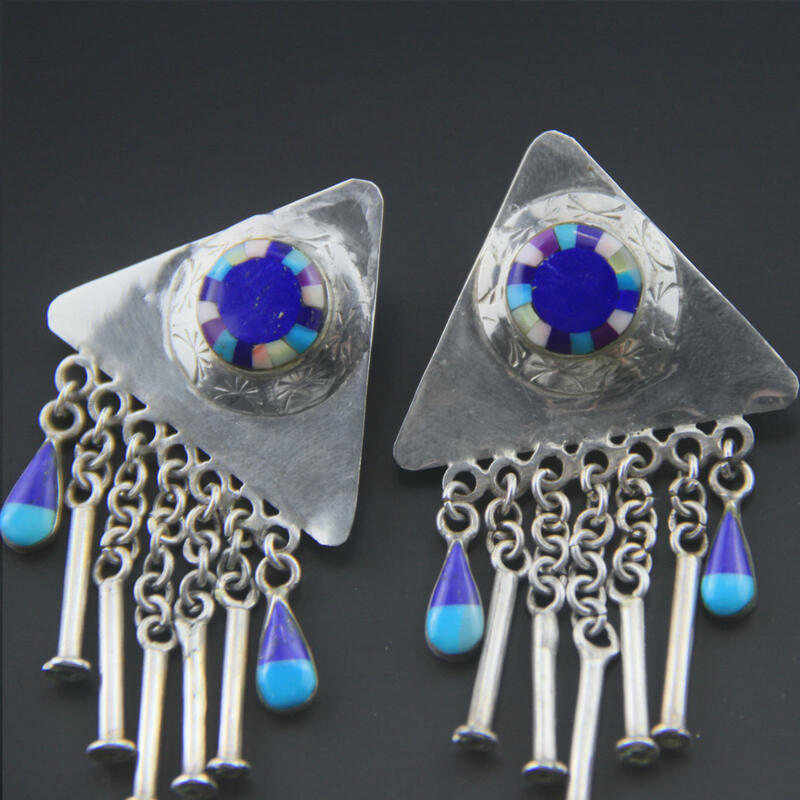 Triangular sterling with a micro inlay of lapis, shell, sugilite, turquoise and sterling dangles. 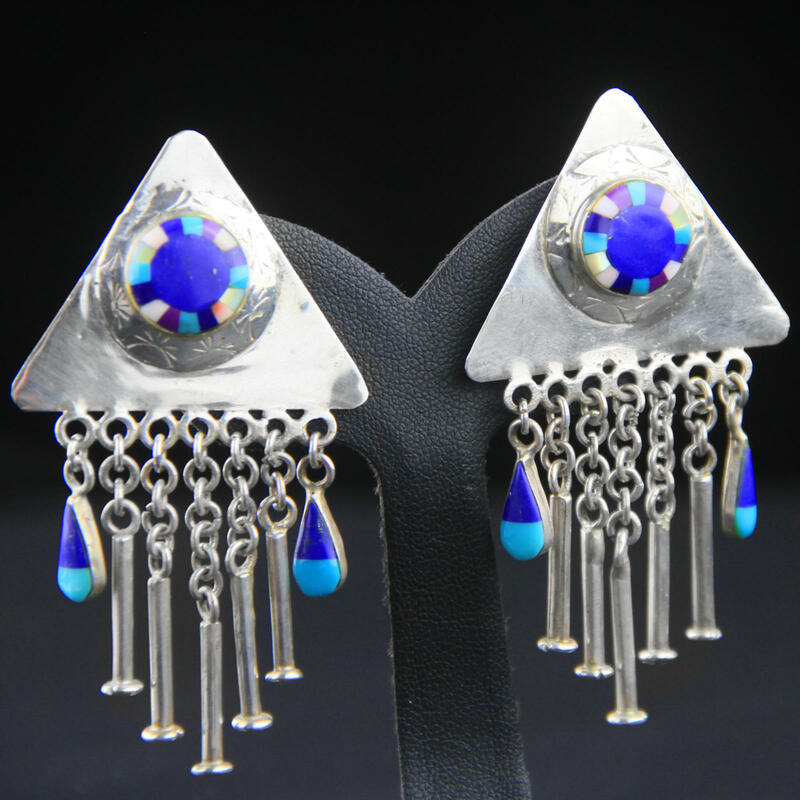 Spectacular and unusual, light and easy to wear - large and unique chandelier statement earrings.